The goal of the SCGSR program is designed to prepare graduate students for science, technology, engineering and mathematics careers, which are critically important to the DOE Office of Science mission, by providing graduate thesis research opportunities at DOE laboratories. LOS ALAMOS, N.M., June 14, 2016—Nine students from universities around the country received the Department of Energy’s Office of Science Graduate Student Research program award and will have the opportunity to conduct research at Los Alamos National Laboratory. The SCGSR program prepares students for careers in science, technology, engineering and math. For students who have no prior DOE laboratory experience, the SCGSR program provides a new and unique opportunity to benefit from the DOE research establishment (equipment, facilities, resources, etc.). Since the program started, this is the largest group of SCGSR awardees at Los Alamos National Laboratory. 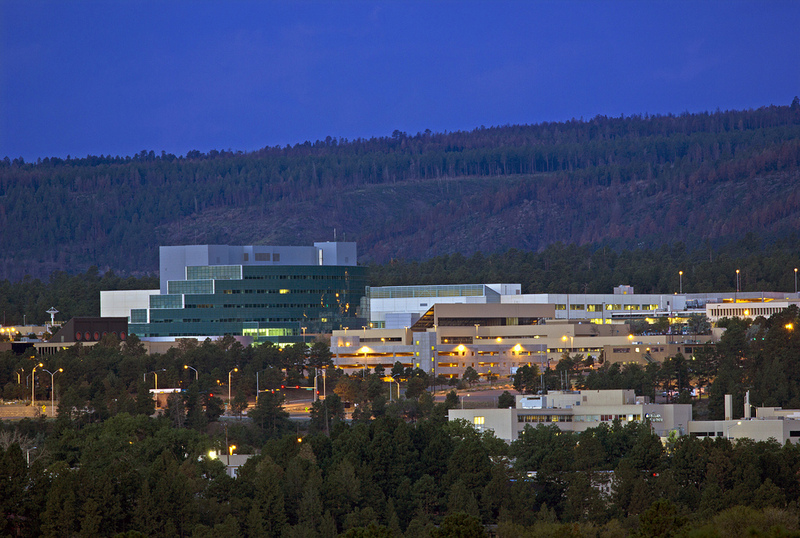 The Laboratory delivers national security mission solutions through multidisciplinary, integrated science, engineering, and high-performance computing capabilities. Christopher Haddock, Indiana University Bloomington, low-energy nuclear physics. Lucas Johns, University of California-San Diego, low-energy nuclear physics. Morgan Kelley, Washington State University, heavy-element radiochemistry. Kelly Malone, Penn State University Park, experimental research in high-energy physics. Elias Massoud, University of California-Irvine, environmental-system science. Adam Overvig, Columbia University in the City of New York, predictive-materials science and chemistry. Alexander Rasmus, University of Michigan-Ann Arbor, discovery plasma science. Matthew Szott, University of Illinois at Urbana-Champaign, burning-plasma science and enabling technologies. Cory Windorff, University of California-Irvine, heavy-element radiochemistry. For the full lists of winners, click here. The goal of the SCGSR program is designed to prepare graduate students for science, technology, engineering and mathematics careers, which are critically important to the DOE Office of Science mission, by providing graduate thesis research opportunities at DOE laboratories. The SCGSR program provides supplemental awards to outstanding United States graduate students to pursue part of their graduate thesis research at a DOE laboratory in areas that address scientific challenges central to the Office of Science mission. The research opportunity is expected to advance the graduate students’ overall doctoral thesis while providing access to the expertise, resources and capabilities available at the DOE laboratories. The SCGSR program is sponsored and managed by the DOE Office of Science’s Office of Workforce Development for Teachers and Scientists, in collaboration with the six Office of Science research programs and the DOE national laboratories.